This article is about how the MAA is addressing the importance of international engagement and recognition activity by standing up a dedicated pillar. It is the MAA’s vision to be a ‘world class military air safety regulatory and assurance organization…’. The achievement of this vision is through 5 strategic outcomes; strategic outcome 4 specifically identifies that the MAAaims to be “…acknowledged by all [UK Defence Air Environment (DAE) and aviation regulators worldwide] as being at the forefront of air safety thinking and sustained in that position through sharing good practice”. 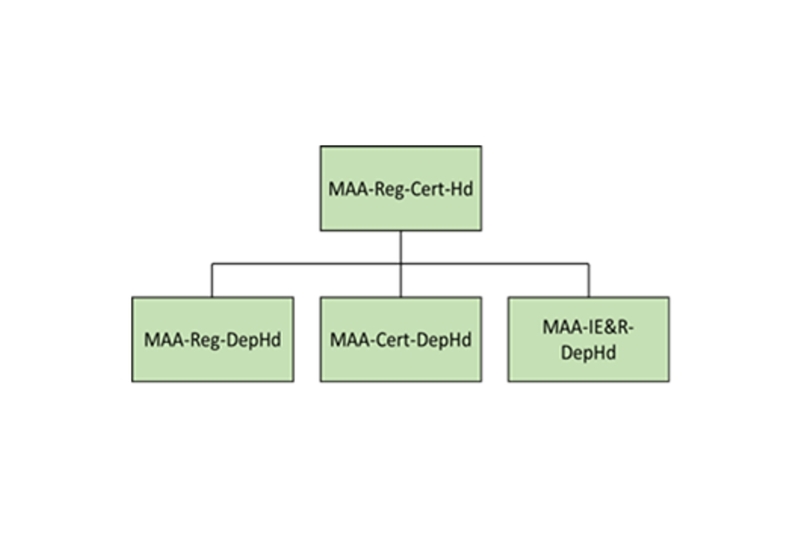 The MAA has developed a number of key conditions which are aimed at achieving the strategic outcomes, and the key condition to satisfy strategic outcome 4 requires the MAA to have recognition from and of others, cooperation across the entire DAE and a strong reputation. Director General Defence Safety Authority has highlighted recognition as a main activity within the organisation, citing the cost benefits and influence it can deliver, as well as the requirement to expand activity further in this area. For the MAA, success in this area will only be realised if the recognition activity is adequately prioritised and resourced at an appropriate level with the authority to exert that influence. Currently, the recognition activity is led through the MAA Regulation Division primarily as a secondary duty and in support of International Engagement. With the rising prominence of Recognition activity and to deliver maximum benefit against this Strategic Outcome, it has been decided that international engagement and recognition (IE&R) activity should be resourced and conducted at the appropriate level and be devolved from conflicting Regulation Division priorities and responsibilities. Recognising the benefits of IE&R activity, in 2008 the MAA committed to the European Defence Agency (EDA) to participate in the Military Airworthiness Authorities (MAWA) Forum and associated Task Forces (TF), which have been latterly transformed into Advisory Groups (AG), to develop common regulatory, certification and oversight processes. Early engagement was ad-hoc in nature, with activity not fully co-ordinated. Since this time, MAA IE&Rinfluence has continued to grow amongst our international colleagues. The international engagement and recognition reporting structure. Since the MAA first embarked on recognition of other national Military Aviation Authorities in 2011, which commenced with the French Authority Direction de la Sécurité Aéronautique d’État (DSAE), the MAA has subsequently conducted recognition of the German Authority Luftfahrtamt der Bundeswehr (LufABw), the Italian Authority Direzione Armamenti Aeronautica e per L’Aeronavigabilitià (DAAA) and the Spanish Authority Direccion Genreal de Armamento y Material (DGAM). The MAA has also been recognised by the Portuguese Authority Autorisade Aeronautica Nacional (AAN). Further afield, the MAA has recognised the Australian Authority Defence Aviation Safety Authority (DASA) and has recently renewed the recognition of the 3 Services Regulators in the USA: United States Army Aviation and Missile Research Development and Engineering Center - Aviation Engineering Directorate (AMRDEC-AED), United States Navy Airworthiness Directorate (NAVAIR 4.0) and United States Air Force Life Cycle Management Center Engineering Directorate (AFLCMC EN-EZ). The Defence Equipment & Support (DE&S) Delivery Teams responsible for: A400M, Apache, Chinook, Lightning II, Poseidon MRA Mk 1, Typhoon and Voyager will be able to take benefit from the Recognition activity conducted by the MAA.